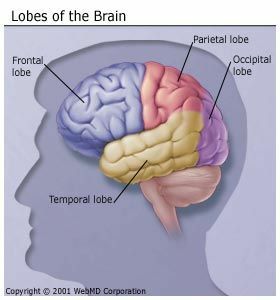 Temporal lobe, or psychomotor, seizures are caused by abnormal electrical activity in an area of the brain known as the temporal lobe, which sits just above your ear. This abnormal activity results in temporary changes in movement, sensation, or autonomic function (such as heart rate and salivation). A person experiencing a seizure may remain alert (simple seizure) or lose consciousness (complex seizure). These seizures may be brought on by any number of factors, from head trauma to high fever. Often, no identifiable cause can be found. It's thought the seizures are caused by scar tissue in the brain that occurs at birth. A person may experience a single, isolated seizure or a cluster of seizures during or following an illness or injury, without any further episodes. When seizures recur, the chronic condition is known as epilepsy. US National Library of Health and National Institutes of Health.